The land between Leonardo and Pinocchio, the Valley of Nievole river, is proud of its many typical products closely connected with its various landscapes: ancient villages, the hills of Montalbano and around Pescia, and the peculiar area, famous for the thermal waters. These are the local resources for a true traditional Tuscan cuisine: a delicate olive oil from the hills, the special cakes called Brigidini, from Lamporecchio, or Cialde, from Montecatini Terme, the Sorana beans from the “Dieci Castella”, some good wine from Montalbano, extraordinary cured meat and extraordinary chocolate creations. These were first produced at the beginning of the past century, according to a family traditional recipe. 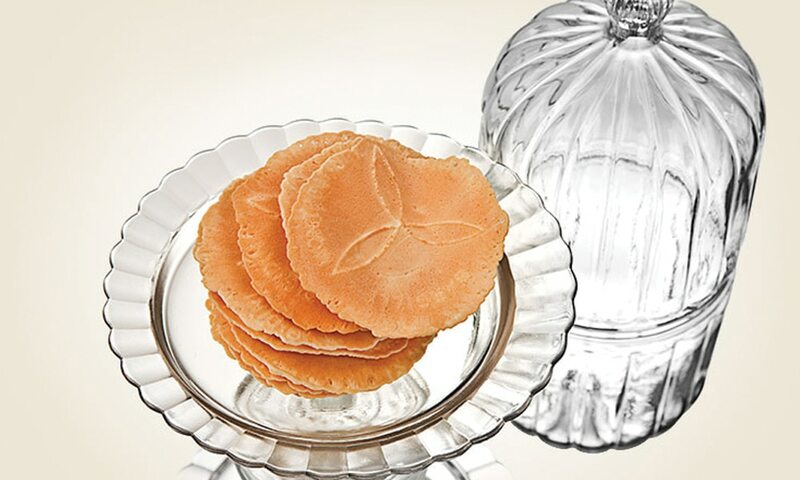 They are a simple sweet, without any added or hydrogenated fat neither preservatives, made up of two fragrant wafers composed of flour, sugar, milk, eggs and crushed almonds. They are a perfect match with ice cream, dessert wine or a simple cup of tea. Cialde can be bought in every delicatessen or patisserie in Montecatini Terme and sorroundings. This is a famous product from Lamporecchio; the ingredients are very simple: flour, sugar, eggs and aniseed. According to the legend, the original brigidino dates back to 1300 when a Swedish nun began a long pilgrimage and stopped off in the Montalbano area, bringing an old recipe. The recipe has been handed down from one generation to the other, by skilful local craftsmen, and the production has changed in numbers and modes. 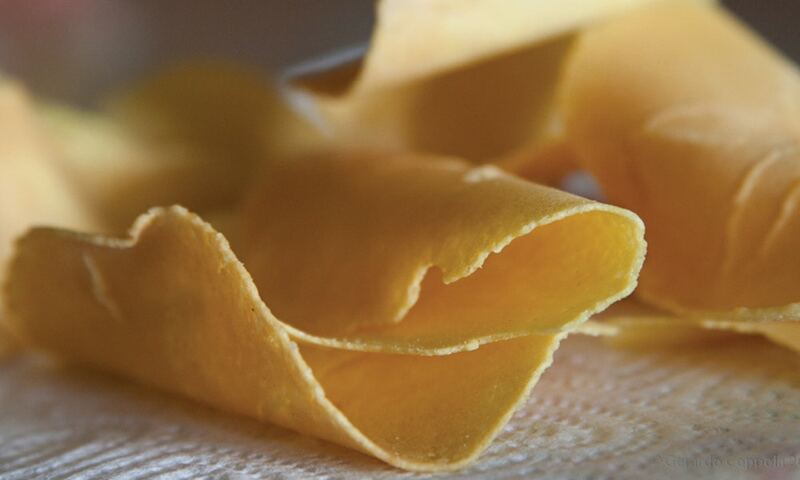 This cheerful and crispy genuine wafer can be found during any traditional or commercial festivity throughout Tuscany and even furthermore.Brigidino di Lamporecchio is a thin round wafer about 7 cm in diameter with curled edges. Orange-yellow colour, crispy and very crumbly. Tastes like shortcrust and anise. Packaged in special tall, narrow clear bags tied with a ribbon. 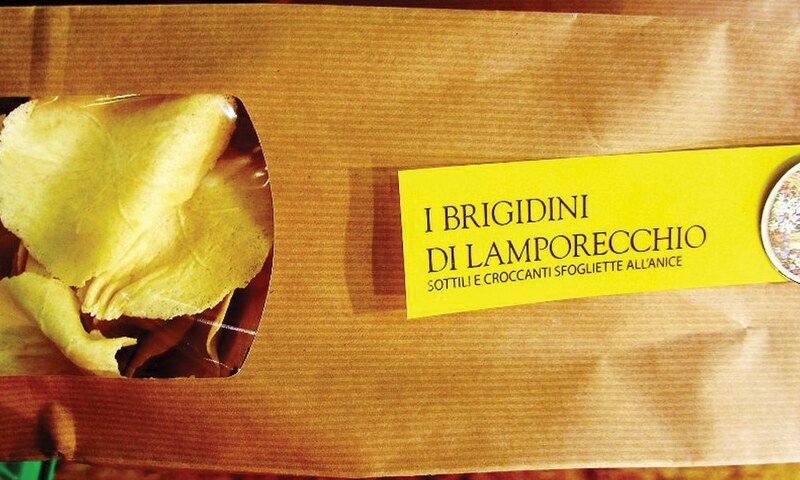 Brigidino di Lamporecchio also comes in cardboard boxes. 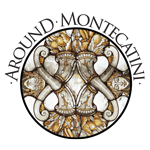 It is cultivated on the dry river bed of Pescia torrent from Sorana to Castelvecchio, within the hills around Pescia town. 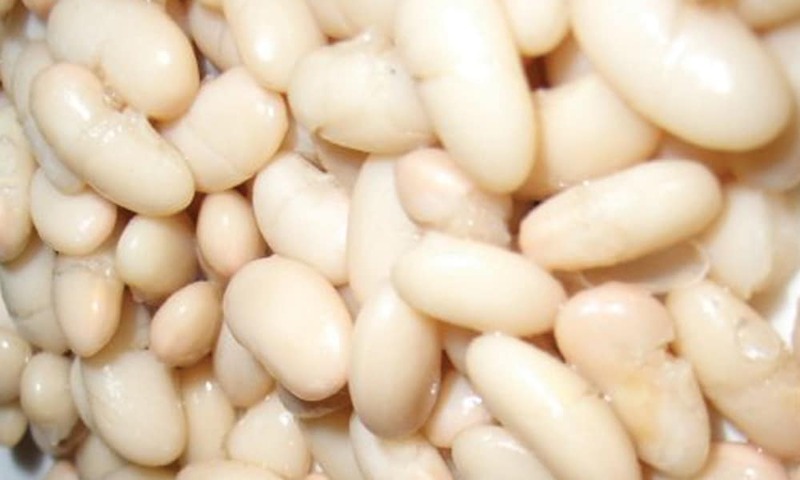 It is a small, thin skinned bean, belonging to the “cannellino” variety. Thanks to its distinctive characteristics and unmistakable flavor, it has been designated as an IGP (Protected Geographic Indication) food and officially recognized as a SlowFood Presidium. HistoryIt is known that legumes have come in Europe after the discovery of Americhe. 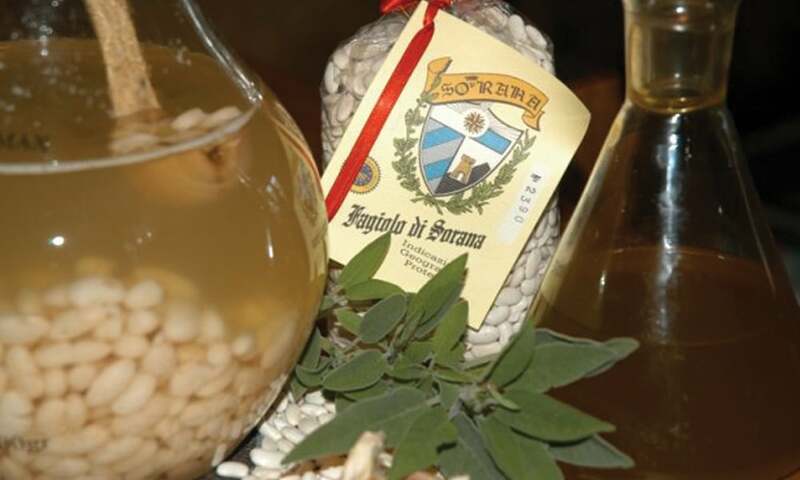 In the district of Pescia the precious beans have found a home thanks to the exemplary reclamation ordered by the Medici and the Grand Duke Leopold, who have “stolen” the small islands of land an area rich in water courses.Among the celebrities who were seduced by Sorana bean Edmondo de Amicis that in his “Chronicles from the Orient” swears to have found them exposed to the market of Constantinople, or Gioacchino Rossini, who asks to his colleague Naldi from Pescia for a fee in Sorana beans;Giuseppe Verdi, frequent visitor of the nearby spa in Montecatini Terme, who praised to have them for dinner in on several occasions;Or even Giuseppe Garibaldi in 1867, on his way to the Roman country, stopping in Pescia, tasted the “orticini” , a dish made of Sorana white beans, Crayfish and red radishes – a triumph tricolore.Coming closer to our times, Indro Montanelli, who wrote an effusive praise on the columns of the Corriere della Sera about the Sorana bean. 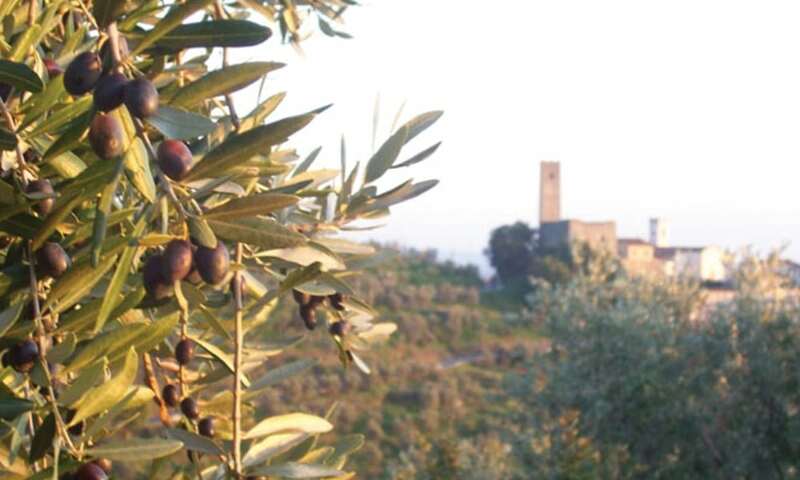 The Tuscan Montalbano IGP (Protected Geographic Indication) olive oil has a fruity and pungent flavor. 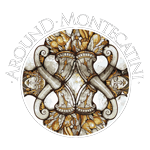 It has a superior quality with special organoleptic nuances and it is obtained from cultivars such as moraiolo, frantoio, leccio and pendolo. It creates a perfect harmony with many Tuscan dishes: any kind of warm soups like ribollita or pappa al pomodoro, or even the famous roasted bread “Bruschetta”.The Montalbano hills are filled with Sangiovese, Canaiolo, Malvasia Bianca and Trebbiano grape vineyards. The grapes turn ito a very good red wine Chianti Montalbano DOCG and white wine Bianco di Valdinievole DOC (Controlled Designation of Origin Guaranteed). Vinsanto is produced with grapes that undergo a natural withering and are aged in special “caratelli” (traditional small barrels) for a minimum of three years.The very good quality of these two products is due not only to the favourable characteristics of the land, but also to the careful working which maintains the traditional production processes. In these zones are produced Chianti Montalbano D.O.C.G., “Bianco della Valdinievole D.O.C.”, “Vinsanto della Valdinievole”, “Bianco Empolese D.O.C.”.The wines produced at Carmignano are: Carmignano D.O.C.G., Vin Ruspo D.O.C., Barco Reale D.O.C., Vinsanto of Carmignano D.O.C.. Chianti Montalbano belongs to the great family of Chianti wines. Also having its own personality, it maintains the characteristics common to all Chianti wines: the beautiful ruby color and the characteristic vinous scent with traces of violet.The wine of Carmignano is long ageing and it goes well with roast and game . In 1990 it has obtained D.O.C.G. 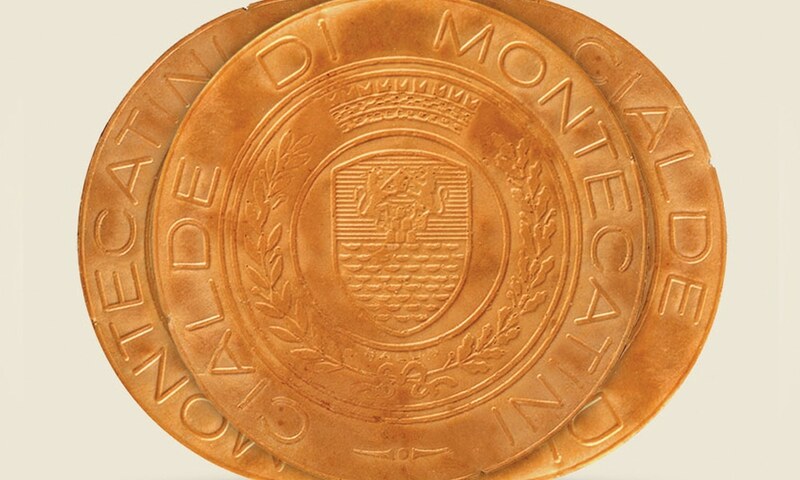 (Denominazione di Origine Controllata e Garantita) recognition. In addition to it we find Vin Ruspo and Vinsanto, which are valued just like Carmignano, both D.O.C. since 1982. In 1994 D.O.C. 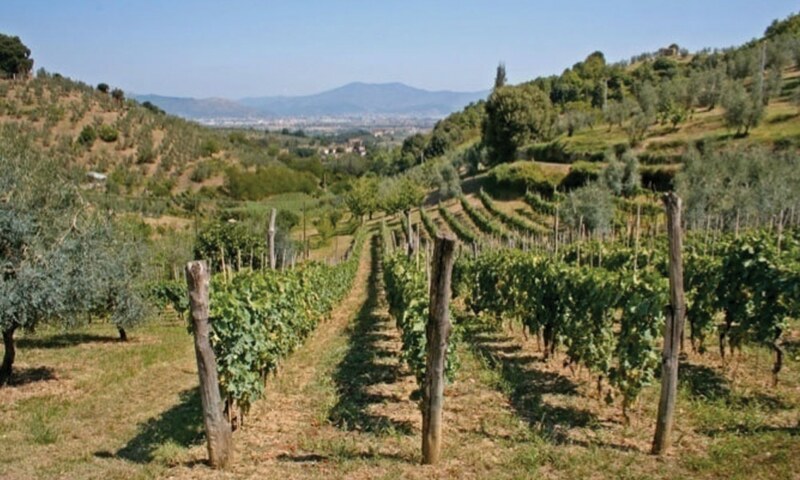 was awarded also to Barco Reale which, like Ruspo, comes from the same types of vines as Carmignano; it is entirely “a Carmignano wine”, but it is aged and sold at a younger age (after only one year).